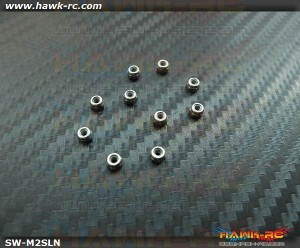 Hate rusty screws on your bling bling Helicopter? 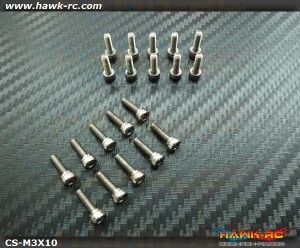 Worry about strength of Stainless Steel Screw? 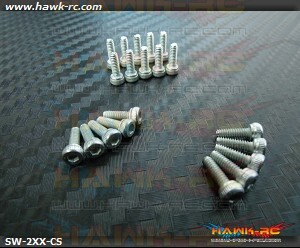 Chrome 12.9 class high strength screws~~Stay away from rusty & keep the 12.9 strength. 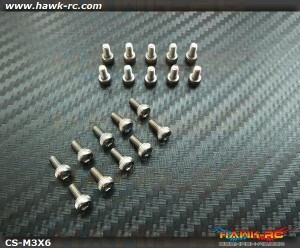 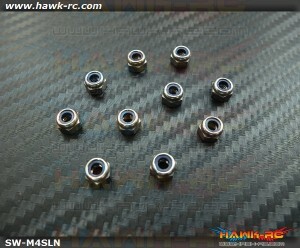 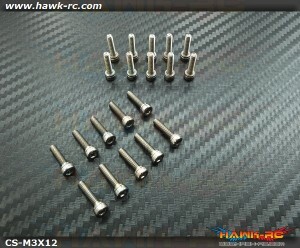 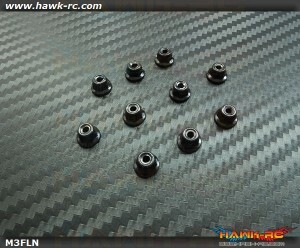 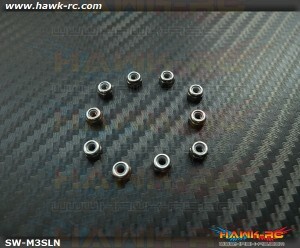 Hawk Chrome 12.9 Class M2*6 Hex Screws (20pcs) Hate rusty screws on your bling bling Helicopt..
Hawk Chrome 12.9 Class M2*10 Hex Screws (20pcs) Hate rusty screws on your bling bling Helicop..
Hawk Chrome 12.9 Class M2.5*6 Hex Screws (20pcs) Hate rusty screws on your bling bling Helico..
Hawk Chrome 12.9 Class M2.5*8 Hex Screws (20pcs) Hate rusty screws on your bling bling Helico..
Hawk Chrome 12.9 Class M2.5*10 Hex Screws (20pcs) Hate rusty screws on your bling bling Helic..
Hawk Chrome 12.9 Class M3*14 Hex Screws (20pcs) Hate rusty screws on your bling bling Helicop..
M3 Fringe Locknut (10pcs) Contents: M3 Fringe Locknut x 10pcs .. 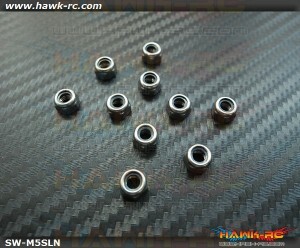 Stainless Steel Nylock HEX Nut Lock Nuts M5 (10pcs) Contents: Stainless Steel Nylock Lock.. 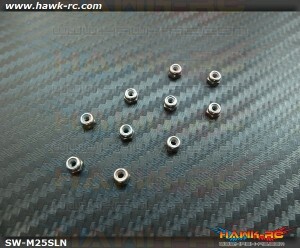 Stainless Steel Nylock HEX Nut Lock Nuts M4 (10pcs) Contents: Stainless Steel Nylock Lock.. 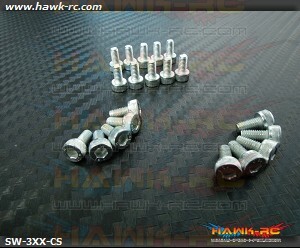 Stainless Steel Nylock HEX Nut Lock Nuts M3 (10pcs) Contents: Stainless Steel Nylock Lock.. 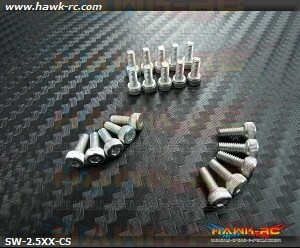 Stainless Steel Nylock HEX Nut Lock Nuts M2.5 (10pcs) Contents: Stainless Steel Nylock Lo.. 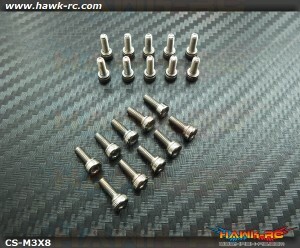 Stainless Steel Nylock HEX Nut Lock Nuts M2 (10pcs) Contents: Stainless Steel Nylock Lock..
Hawk Chrome 12.9 Class M3*10 Hex Screws (20pcs) Hate rusty screws on your bling bling Helicop..
Hawk Chrome 12.9 Class M3*12 Hex Screws (20pcs) Hate rusty screws on your bling bling Helicop..
Hawk Chrome 12.9 Class M3*6 Hex Screws (20pcs) Hate rusty screws on your bling bling Helicopt..
Hawk Chrome 12.9 Class M3*8 Hex Screws (20pcs) Hate rusty screws on your bling bling Helicopt..